Security forces in the capital of Russia's North Caucasus republic of Chechnya stormed two buildings, including a school, in fierce gun battles with militants early Thursday that left at least 19 dead, authorities said. 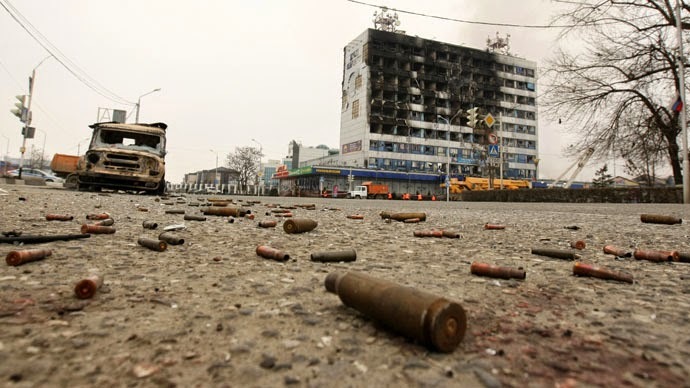 The National Anti-Terrorist Committee said militants traveling in three cars entered the republic's capital, Grozny, at 1 a.m., killing three traffic police at a checkpoint, and then occupied the 10-story Press House in the center of the city. The federal agency said six gunmen were killed inside the building, which was gutted in a blazing fire that also spread to a nearby market. More gunmen were later found in a nearby school and security forces were sent to "liquidate" them, the agency said. No students or teachers were in the school when it was seized by the militants, RIA Novosti quoted vice principal Islam Dzhabrailov as saying. A criminal case for the Ukrainian Verkhovna Rada deputies Yuri Beryoza, Andrei Levus and Igor Mosiychuk will be opened in Chechnya at the instruction of its President Ramzan Kadyrov. 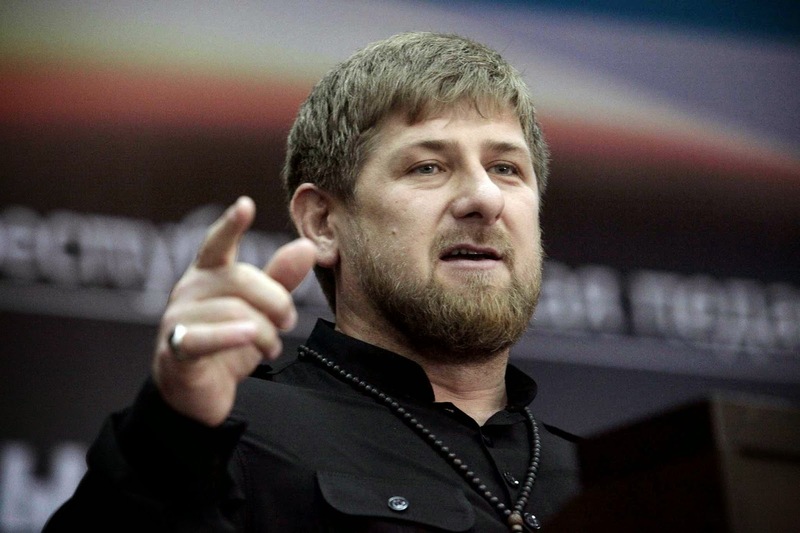 Chechnya’s leader Ramzan Kadyrov said that Akhmat, a brother of late warlord Doku Umarov, was behind the terrorist attack in Grozny on December 4. Kadyrov said Umarov’s brother had deceived eleven militants who infiltrated Grozny. They were told that their goal was to reach Grozny and to open fire as another 400 gunmen who were allegedly staying in the city would join them. The ombudsman in Georgia on Monday published a report which criticizes the authorities for holding back information and not properly investigating a border shooting in 2012. Among the dead rebels, three were local Georgians from nearby Pankisi Gorge. This is one of the reasons the Saakashvili government’s claim that the rebels had come from Russia and entered into Georgia was met with disbelief. Another reason is that the only man detained after the incident, Ahmed Chatayev, said that the fighters had tried to enter Russia from Georgian territory. The report concludes that several types of information given by official sources has not been confirmed. Ombudsman Ucha Nanuashvili now asks parliament to start investigating the shooting incident all over again. President Petro Poroshenko’s political bloc has named Georgia’s ex-healthcare minister, Alexander Kvitashvili, as its nomination for the minister of healthcare in Ukraine’s new coalition government. 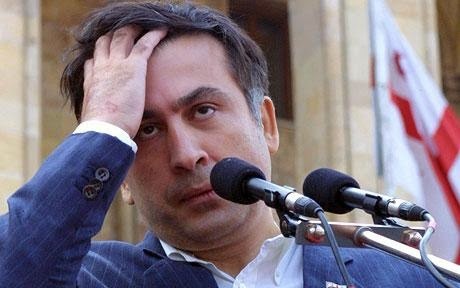 As talks on forming the new government were still underway, reports were emerging in recent days about possible nomination of ex-president Mikheil Saakashvili and Georgia’s ex-justice minister Zurab Adeishvili for government posts in Ukraine – both are facing criminal charges in Georgia and are wanted by the Georgian authorities. Officials in Tbilisi warned that appointing those Georgian ex-officials in the Ukrainian government, who are facing criminal charges in Georgia, would have had negative consequences on the bilateral relations. “There will be a lot more Georgia in NATO and lot of NATO in Georgia,” Appathurai said. “We welcome very much the speed with which Georgia has been working to define this new joint training center,” Appathurai said, adding that NATO defense planning experts are already in Georgia, working closely with the Georgian colleagues on this issue. Prosecutors in Osh, Kyrgyzstan’s southern capital, have dropped a criminal case against a local non-governmental organization accused of inciting inter-ethnic conflict. The decision is being cheered by civil society activists, who had earlier expressed concern that the case was a possible harbinger of a crackdown on the non-governmental sector. While the decision may mark a limited victory for due process in Kyrgyzstan, a convoluted provision in the prosecutor’s November 28 resolution indicates that the rule of law was probably not the sole factor in the decision to drop the case. Instead, it hints that behind-the-scenes maneuvering among various state agencies played a significant role in the outcome. The provision states that the local GKNB office in Osh would be subject to a “prosecutor’s reaction,” a process that is not clearly defined, but which hints that there could be legal repercussions for the local state security office. The provision also states that those responsible for instigating the case could face disciplinary action. Some observers believe the wording of the provision indicates that elements within the executive and judicial branches feel that the state security service was overreaching, and are intent on clipping the secret police’s wings. Kyrgyz President Almazbek Atambaev is visiting the United Arab Emirates (UAE) and has signed a decree to establish an embassy in Abu Dhabi. 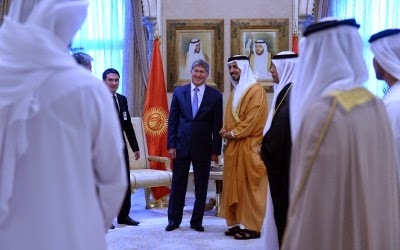 Atambaev discussed potential investment from the UAE in Kyrgyzstan's transport, logistics, and agricultural sectors during talks with UAE leaders. Atambaev, who is currently on an official visit to the UAE, met with Abu Dhabi Crown Prince Sheikh Mohammed bin Zayed Al Nahyan, the Deputy Supreme Commander of the UAE Armed Forces, on December 4. Law enforcement agencies are co-operating with secondary schools and the clergy in southern Kyrgyzstan to hold outreach meetings with youth in an effort to protect them from extremist recruiters. "We are now paying special attention to stopping young people from leaving for Syria," Rakhat Sulaymanov, spokesman for the State National Security Committee (GKNB), told Central Asia Online. Authorities in Osh Oblast have identified several "hot spots" for extremist recruiting. They include Aravan, Kara-suu, Nookat and Uzgen districts and Osh. No fewer than 180 Kyrgyz citizens are presently fighting in Syria, including not only women but also teenagers who have direct or indirect ties to prohibited movements, the Kyrgyz Interior Ministry (MVD) press office stated recently.